He’s played Jesus of Nazareth and appeared in Antichrist, but Willem Dafoe’s latest role might be one of his most tortured to date. 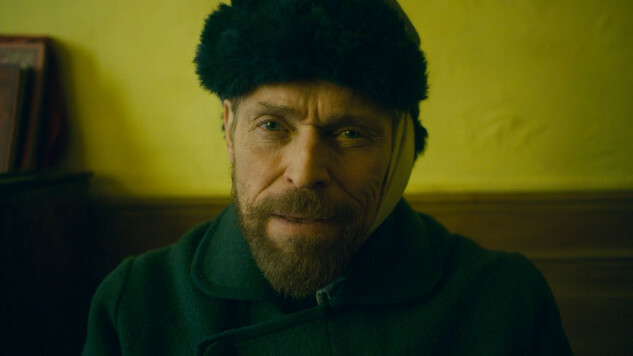 Dafoe stars as Vincent van Gogh in the new trailer for At Eternity’s Gate, a biopic on the painter’s brilliant work and tragic late days from fellow painter and The Diving Bell and the Butterfly director Julian Schnabel. Mads Mikkelsen, Emmanuelle Seigner, Amira Casar, Niels Arestrup and Oscar Isaac also star. “Sometimes they say I’m mad, but a grain of madness is the best of art,” says Dafoe’s van Gogh in the trailer, his iconic cragged face and piercing blue eyes striking a strong resemblance to the late painter’s self-portraits. Schnabel’s art background also shines through from what we see of At Eternity Gate’s strongly balanced shot composition and stylized color palette, often made to evoke some of van Gogh’s most recognizable paintings in the trailer. Schnabel took a similarly composed approach to the late life of French Elle editor Jean-Dominique Bauby in The Diving Bell and the Butterfly, for what it’s worth, and became an Oscar-nominated director as a result. Biopics about troubled great men aren’t exactly hard to come by, especially this time of year, but At Eternity’s Gate should have plenty to offer for art enthusiasts. 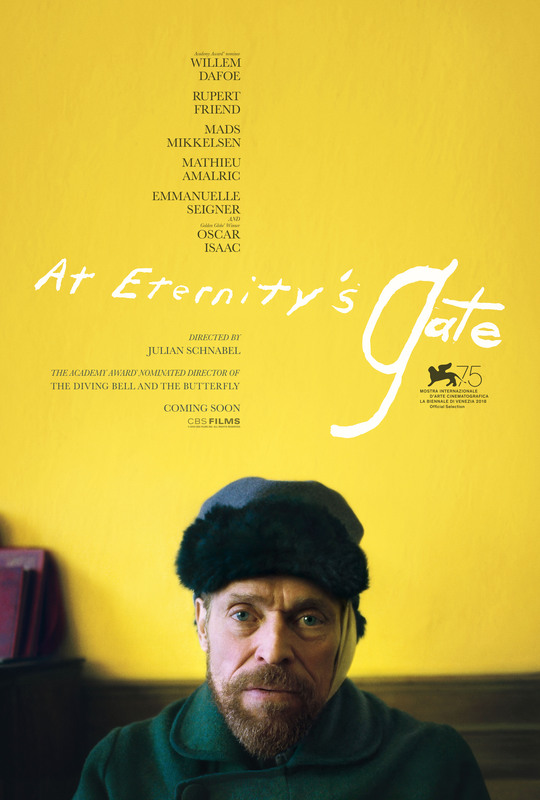 CBS Films will release At Eternity’s Gate in select theaters on Nov. 16. Watch the trailer and check out a new poster for the film below.